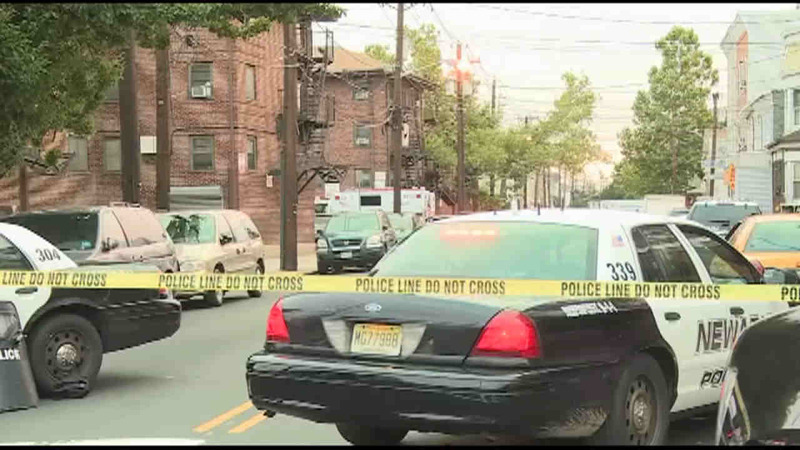 NEWARK, New Jersey (WABC) -- A man accused of holding five people held hostage during a standoff with police at a Newark public housing complex Saturday morning will face charges. Newark officers responded to a call in the 200 block of South Street around 1:45 a.m. According to Newark Public Safety Director Anthony Ambrose, "Preliminarily, we received information that people were being held hostage in a public housing complex apartment." Around 6:30 a.m., after a four-hour standoff, the Newark Police Emergency Service (SWAT) Team entered the apartment using pepper spray, and found five people held against their will by the suspect. Yucef Shabazz Rogers, 32, of Newark, was arrested without incident and the hostages were released. The motive appears to be domestic related, according to the City of Newark Department of Public Safety. The hostages included three women, one is Rogers' girlfriend. Two males, including a 14-year-old, also were among the hostages. A loaded AK-47 assault weapon and bullets were found in the apartment. During the investigation, detectives determined that Rogers fired the weapon before police arrived. No injuries were reported. "I commend the SWAT officers for resolving the situation without anyone being injured," said Ambrose. The investigation is continuing. The suspect was evaluated at a nearby hospital and will be held at Essex County Correctional Facility. Rogers faces several charges including possession of the assault weapon and possession of the weapon for unlawful purposes.